﻿ Admiral Collingwood Lodge, Sydney | FROM $115 - SAVE ON AGODA! "Good location, small kitchen with all necessary cooking equi..."
Have a question for Admiral Collingwood Lodge? "Has everything you need, is very clean and has friendly staff." "Would definitely stay here again when I visit Sydney!" 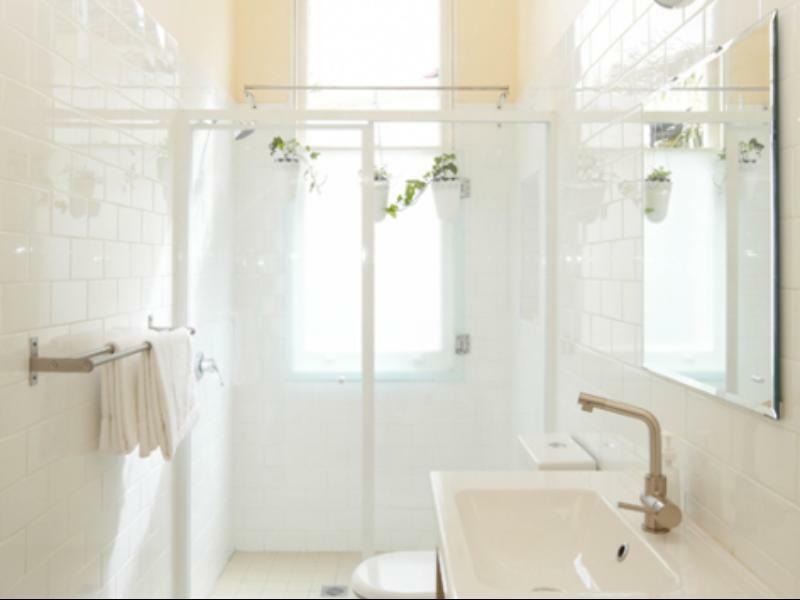 "A shared large kitchen and dining/sun room is available to use, is a nice extra." 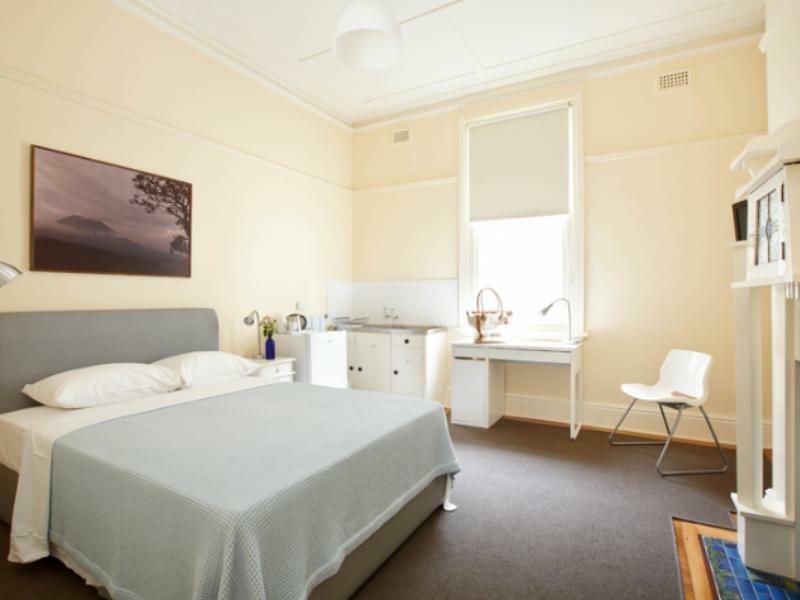 "The staffs are nice and helpful, will stay again"
If what you're looking for is quiet, charming, spacious, and elegant accommodation in Sydney, look no further than Admiral Collingwood Lodge. The excitement of Sydney's city center can be reached within 15 minutes from nearby ferry or bus stops. So Sydney’s main attractions, such as the Opera House, museums, galleries, aquarium, and Darling Harbor, are within close reach. 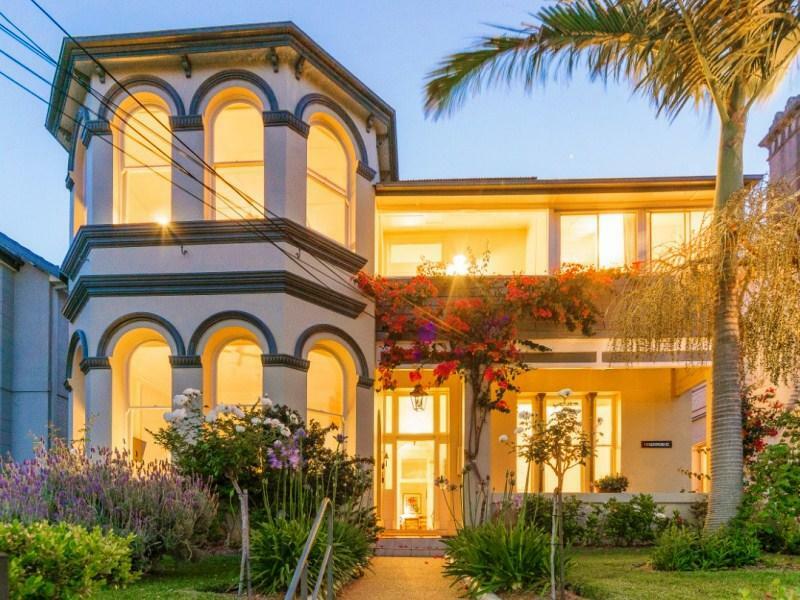 Local attractions include the harbor foreshore walks and the trendy village atmosphere of Balmain and Rozelle. Abundant restaurants from elegant dining to fashionable cafes cater to many tastes with some overlooking the beautiful Sydney Harbor. 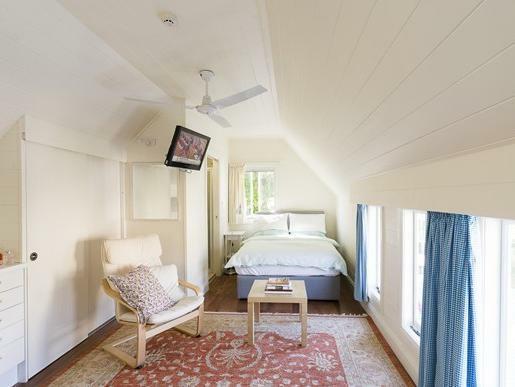 Visitors to the Admiral Collingwood Lodge will just love its location in safe and leafy harbor-side Drummoyne. "Facilities modern and very clean,, with lots of little touch..."
Minimum age of guests is: 10 year(s). Please note that free unlimited parking is available on-street in front of the Lodge. Please note that early check in before 2 p.m. can only be guaranteed by pre book one night before arrival. Please note that guests should let Admiral Collingwood Lodge know your expected arrival time in advance. You can use the Special Requests box when booking, or contact the property using the contact details found on the booking confirmation. Please note that fire alarms caused by cooking or toasters in rooms attract a $1,275 Fire Brigade "Call-Out" fee, which are chargeable to Guest Account. Reception is open from 07:00 AM to 07:00 PM. Guests arriving outside these hours are requested to contact the property directly prior to arrival so alternative arrangements can be made. The property is not suitable for children under 10 years old, except by special arrangement. I love this location, it is peaceful and very close to CBD by ferry or bus. The rooms are large and clean and the garden where you have your breakfast is such a peaceful place. I loved their breakfast choice incl. good coffee and fresh orange juice. The owner is charming, witty gentlemen. I will be back. Lovely lodge, close to Sidney center. Circular quay is 20 minutes by ferry or by bus. Bus stop and ferry station are 5 minutes distance. Close to restaurants, coffe-bar, supermarkets. Very friendly staff! Share bathroom, but very clean, big and comfortable. Location basically quite except the airplains are flighing just about your head. The kitchen very well equiped, you can make fresh coffee and frech orange juice available free. Beautifully re-purposed mansion. Has everything you need, is very clean and has friendly staff. 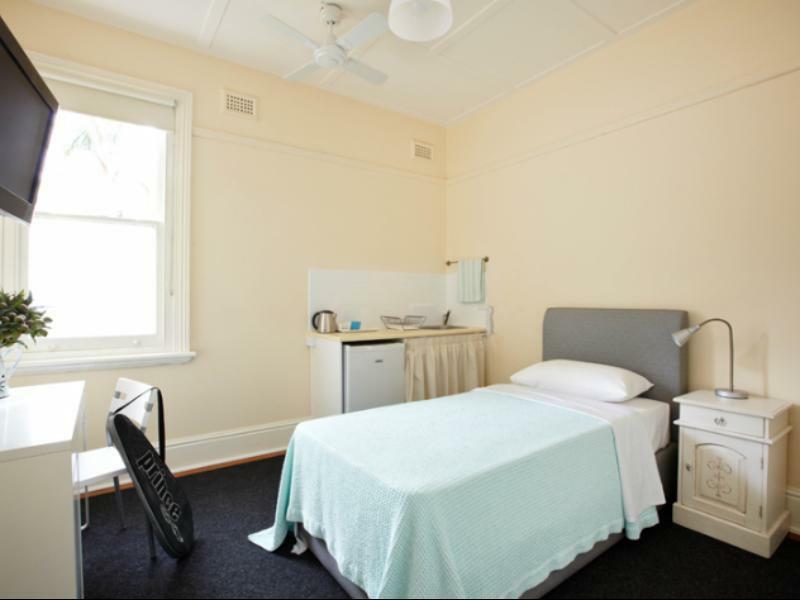 Location is conveniently close to public transport and eateries. Would definitely stay here again when I visit Sydney! Clean comfy accomodation. Great staff. Nice garden area to sit out, shared kitchen with some light breakfast food provided, or you could cook your own!. The airplanes may disturb you in morning if you are a light sleeper, but they didnt start til about 7ish. The thing we loved most about this place was that it was a calm peaceful place just 20mins from the city. We caught the ferry in and out of the city every day ($5.76 each way get an Opal card at the airport or local shop), so much better than the bus, it's a fab way to get around! Facilities modern and very clean,, with lots of little touches, to help you have a pleasant stay. A shared large kitchen and dining/sun room is available to use, is a nice extra. Plenty of space! .Great location, out of the CBD, but still very close. Transport close to city, with either the bus or ferry into the city, 20 minutes, 200 metres walking distance to shops, restaurants. Will stay again. I have stayed at Admiral Collingwood Lodge a number of times and each experience has been excellent. Wonderful location, very clean and stylish accommodation as well as conveniently located. My preference is for the king room on the 1st floor at the front of the building which as harbour views. Too bad I only stayed for 3 days. I love the place very cozy, feels like home. Although the toilet is outside the room but it's quite convenient and very clean..really like the cookies and you can eat light breakfast if you want for free..
Had the garden terrace room which had ensuite bathroom and small lounge area. Loved it, was so quiet and peaceful. Double bed, which was not a problem. 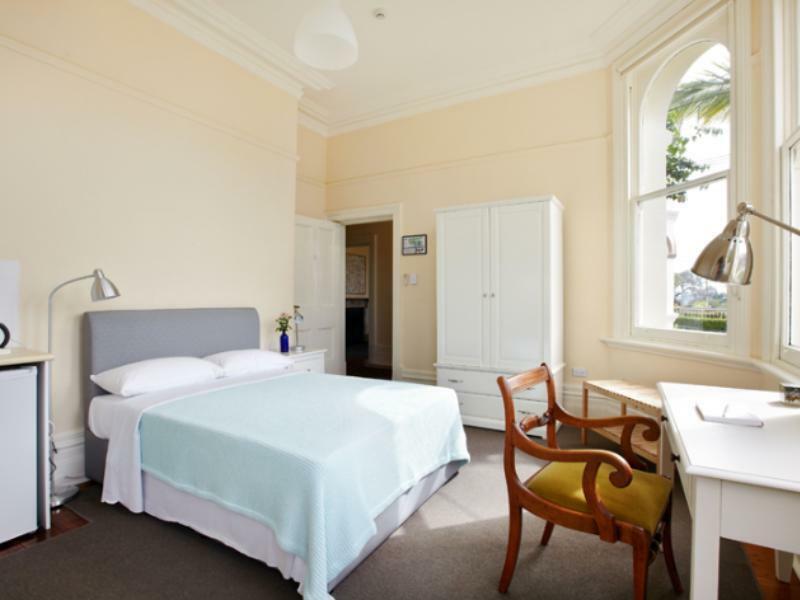 Short stroll to ferry and close to Birkenhead Outlet centre and easy bus or ferry ride to the city. Very nice house and staff, beautiful and clean rooms with shared bathroom (they are so clean that it isn't a problem) and peaceful garden. Perfect if you are looking for a quiet place a bit outside of the city, but with a beautiful ride by ferry! We would highly recommend it! 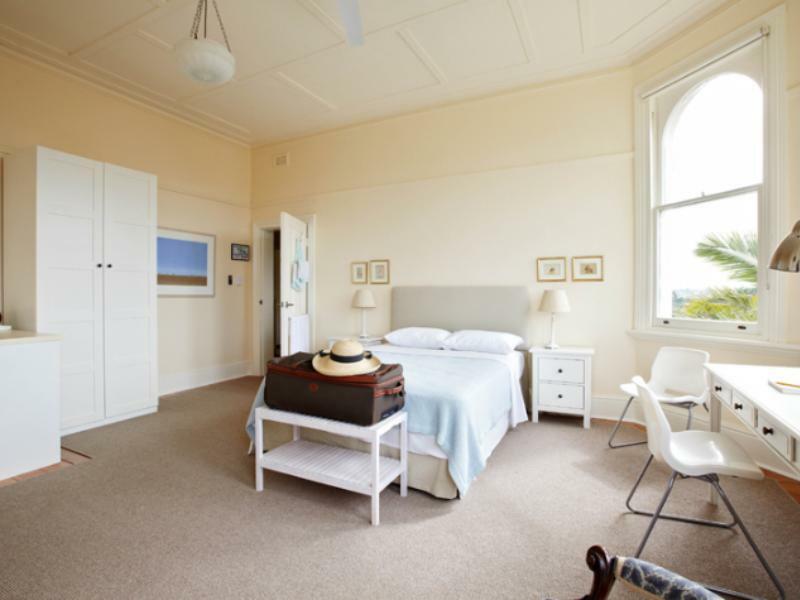 Located a bit outside from Central Sydney in Drummoyne, but with nearby public transport service available (buss or ferry), comfortable and quiet rooms in a charming mansion, lovely stuff and regular breakfast. The reviews match. Perfect place to visit the city without staying in it. Great ferry ride into Circular Quay, quiet residential location, charming old house with everything one needs in your room for a city break, shared bathroom no problem at all. Would certainly stay there again. Thanks very much, Linda and Eric. Peaceful stay in residential neighbourhood. Room is well-equipped and shared toilet conditions were no issue at all. We certainly appreciated the use of the kitchen as it made breakfast easy for us. For those looking for brunch options, nearby Bowen Island bakery is highly recommended. The owner Rob so kind. Give alot information near by hotel and bus details. Where to go. The hotel looks far away from Sydney but ItS Not . So many buses go to CDB. Only about 15 to 20mins..
Love this place. Convenience to Sydney CDB.alot bues and ferry. Quiet neighborhood. Beautiful house . The best provide breakfast.. wifi just ok. And room nt really sounds proof. But not big problem. . Value for money! Nice old building, well kept, staff pleasant, freshly made cookies and fresh flowers a nice touch. Just one thing to be careful of... don't bump your head on the metal towel rail with sharp edge as I did, when you get up from the toilet in the upstairs bathroom. The staff were very friendly and accommodating to our needs. The place was very clean and easy to feel at home in. We really enjoyed the fresh squeezed orange juice. We really enjoyed our stay here. The shared bathroom was a bit of a concern before we arrived but it turned out to be fine. Only one time in our three days there did we have to go to the other floor to find an open shower. The staff were very helpful and friendly to us. I normally don't write reviews but wanted to for this place because it was such a good experience. The location was close to the ferry and the bus, but you do have about a half hour ride into the city if that's of any concern to you. Would recommend this to everyone and if we're ever back in Sydney would stay here in a heartbeat! Our stay here was lovely. We stayed 2 nights after my partner got in from an international flight. Was very comfortable in our room and there were enough share bathrooms that we never felt inconvenienced, and they were always in immaculate condition. The hosts were lovely and assisted us with directions to the water ferry so we could go explore. The location is also very close to food options. I definitely recommend staying here and if we have the opportunity we will stay here again. 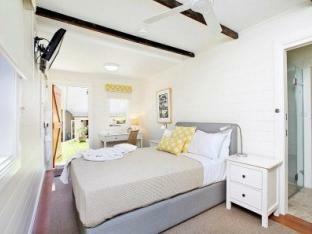 I highly recommend this lodge to every one who want a quiet, warm and home-like stay in Sydney. My girl friend and I stayed in this lodge for 6 nights. The lodge building itself was antique at first sight, but the interior was up to modern standard. The cleanliness of the bathroom never disappointed us. We also found the shared kitchen very tidy to use. (Of course, you need to clean up all the frying pans, bowls, knives and forks after using ^_^) Rob, the Manager, is a very nice and friendly guy. Don't hesitate to ask him if you have any problem during your stay. Regarding the lodge location, a two-minute walk can take you to the nearest bus stop, where you can find more than 10 buses which can take you to the city centre in 15-20 minutes. You can also instead take a ferry ride from the Drummyone Wharf, which is some 10-minute walk from the lodge. We took a ferry ride from there to Darling Harbour in a sunny day, and the view was excellent! This place was one of the nicest accommodations we have encountered. The garden/kitchen combination is great for breakfast and dinner, the rooms were clean, the staff was extremely friendly and the public transportation is convenient. It's only 15min from city center. We booked for 3 nights but ended up staying 5. If I ever come back to Sydney, I will stay in this place. The only negative thing is that there are planes flying low over the suburb every 5 minutes. Because of this, I would not recommend to stay there for a longer period. However, this is not a problem for a week's stay.